If a man ever knew how to entertain and simultaneously rock a venue to the core, New York-born and bred singer-songwriter Willie Nile is the man ! Armed with an acoustic guitar, a piano off to the side the stage & supposedly an intimate solo affair, and part of his Storyteller tour. It still was intimate, BUT Willie had an ace right up his sleeve: in the form of electric bass player and good friend, Johnny Pisano with him as he looked at some of his finest creations. The genuinely moving piece “House Of A Thousand Guitars” had the place rocking, as he held the audience in awe , and soon after clapping and singing along to his music as dancing was witnessed in the aisles! 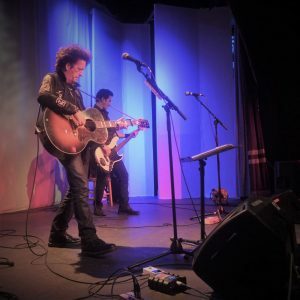 When it came time for him to sit at his piano (his first instrument – said Willie), just sitting there alone, and Pisano grabbing a well-earned break, Willie Nile told more stories of lifetime experiences.. Poignant and stronger, emotionally he served up a tale of emigration with “The Crossing as” he paying homage to those who came to America to help make it the country USA has became. His song really caught the imagination. 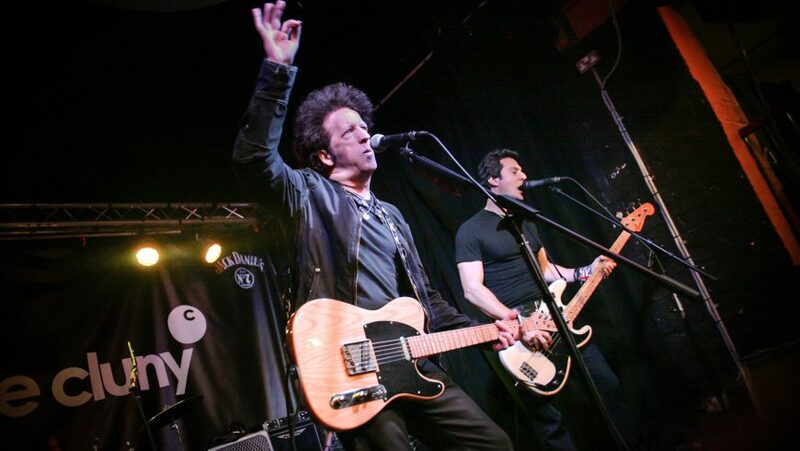 Rock’n’roll pumps through Willie Nile’s very veins, like coffee does to many people on a morning. You only need to mention a song or artist and he becomes energised. Music isn’t so much a way a livelihood with Nile, but a whole way of life, the touring, writing and performing.